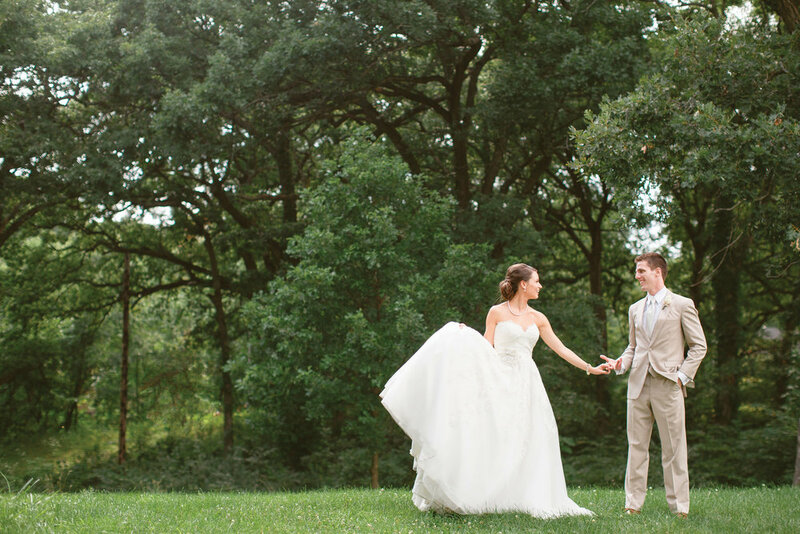 “We got to talking and never really stopped.” Alix and Ben met when they were just wide-eyed freshman at Iowa State University. When Ben and Alix first started dating he gave her a rosary with a poem saying, “As long as you have this, you will have me.” So later on down the road when Alix received another rosary from Ben she thought it was just a thoughtful birthday gift, but little did she know there was a beautiful diamond ring wrapped inside! As their planning for their big day began Alix and Ben wanted it to be centered around their color theme, soft green. A big hit this summer was natural greens, along with golds, pinks and whites. The couple mirrored that in their wedding through their gorgeous floral arrangements and stationary. 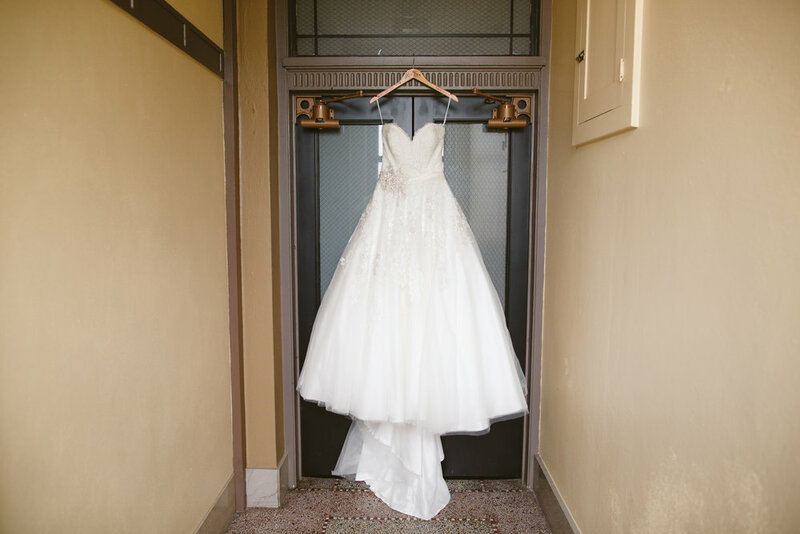 Along with planning the decor details for the wedding, Alix said her favorite part of the planning process was the week leading up to the big day. The two loved watching all of their hard work come to life with their motto “It’s good enough.” Alix and Ben said that their biggest piece of advice to engaged couples would be not to stress too much. They loved how their wedding was perfect in it’s own way! Pinterest weddings may look perfect and elegant but they are missing the best part, an Iowa couple! 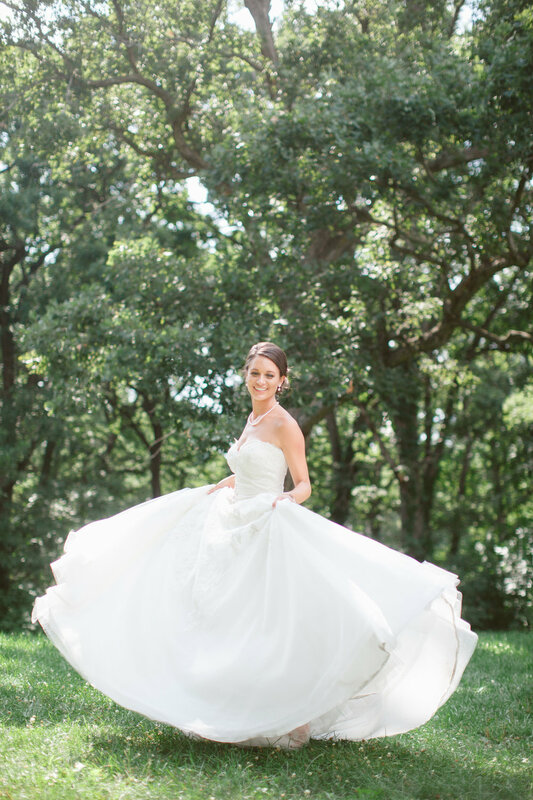 Alix and Ben like to look back on their most memorable part of their wedding: their entrance. The curtain dropped to reveal for the first time, the happy couple! They were able to be around all the people they loved the most all in one place. With the dance floor packed all night and love in the air, Alix and Ben had their happily ever after! Find all the vendors from Alix and Ben's beautiful day.